There’s something to be said about Lincoln focusing so much of its attention on the West Coast in launching the 2013 MKZ Hybrid. Namely, that even with the improvements it’s made over the years and now the push to distinguish itself from Ford as the new Lincoln Motor Co., the carmaker realizes that the success of the brand hinges on it having clout in cities like Los Angeles. That said, there’s no arguing the exterior appeal of the new MKZ Hybrid in LA or any other major U.S. city. 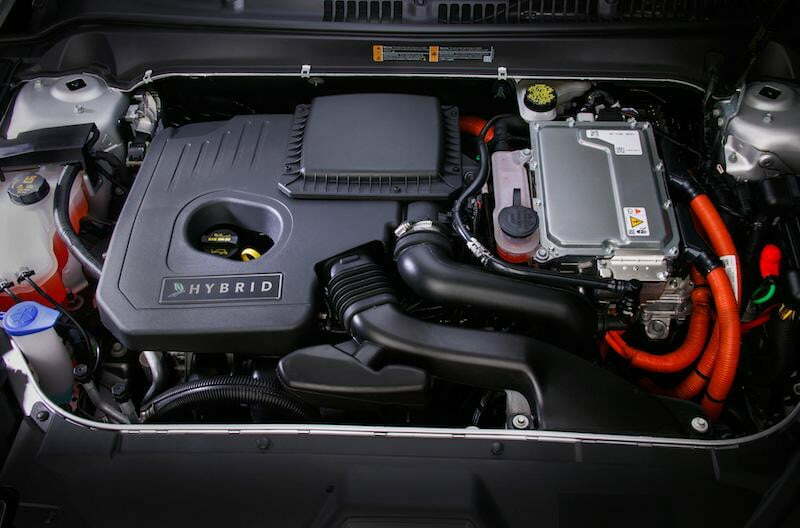 The new hybrid model, which features the same new styling cues as the gas-powered MKZ, is a drastic departure from the previous generation – or anything else that’s rolled off a Lincoln assembly line for that matter. In fact, chances are, if you blacked out the cars badging, most wouldn’t even recognize it as a Lincoln, which the brand hopes will help attract new customers. The most noticeable new interior feature is the replacement of the traditional mechanical transmission shift for a five-button interface, which immediately gives you the sense you’re driving something a bit high-tech. When coupled with other features like the MKZ’s push-button start and the MyLincoln 8-inch touch-screen infotainment system, it’s hard not to get sucked into the sedan’s technology. Most of the MKZ’s in-car tech features aren’t unique to the hybrid model, but it definitely adds a nice touch to Lincoln’s new take on the alternative powertrain. What’s most impressive is that with all the MKZ’s new gadgetry, figuring out how to navigate it all is pretty easy. 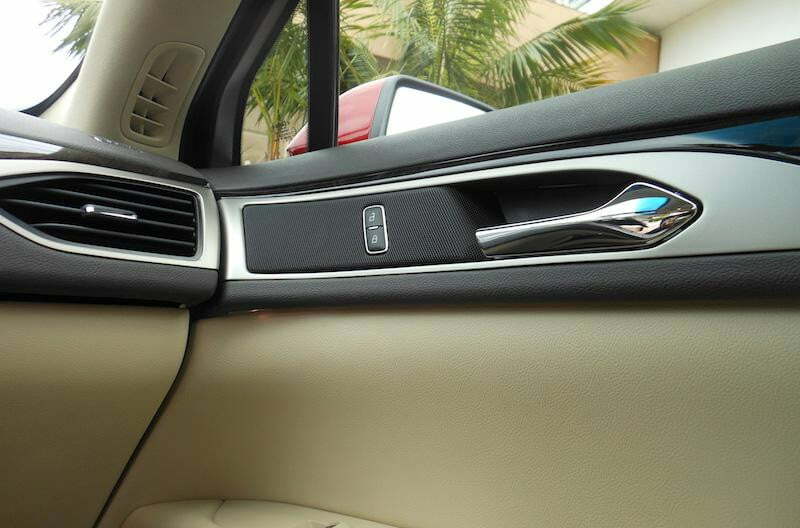 The sedan’s interface components – buttons and screens – are easy to identify and located in ideal spots for the driver, which makes operating all the technology far less intimidating. 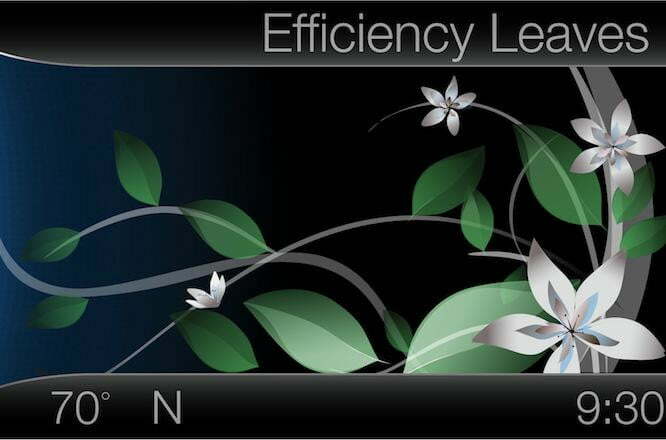 Even the MKZ Hybrid’s exclusive SmartGauge with EcoGuide, which uses animated leaves to help drivers learn to be more fuel efficient, is simple and easy to understand unlike some other hybrids where the concept comes off as more of a distraction. Equipped with a new 2.0-liter four-cylinder gas engine and an 88-kilowat electric traction motor, the MKZ Hybrid’s acceleration is pretty much on par with most fuel efficient fully gas-powered vehicles in normal driving situations. At times when I needed to quickly accelerate, the MKZ Hybrid responded better than I expected. 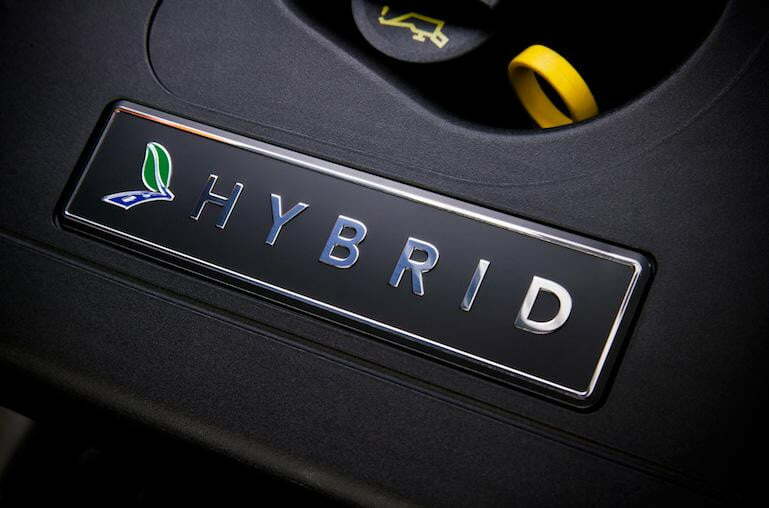 The hybrid’s electric motor, which now features new lighter lithium-ion battery that generates more power than the previous nickelmetal-hydride battery, can power the car up to 62 mph on its own. The engine, which can operate independently of vehicle speed while charging the lithium-ion battery or providing power to the wheels as needed, produces a net 188 horsepower. The lithium-ion battery pack provides total energy of 1.4 kWh and has a converter that helps power some of the hybrid’s accessories. 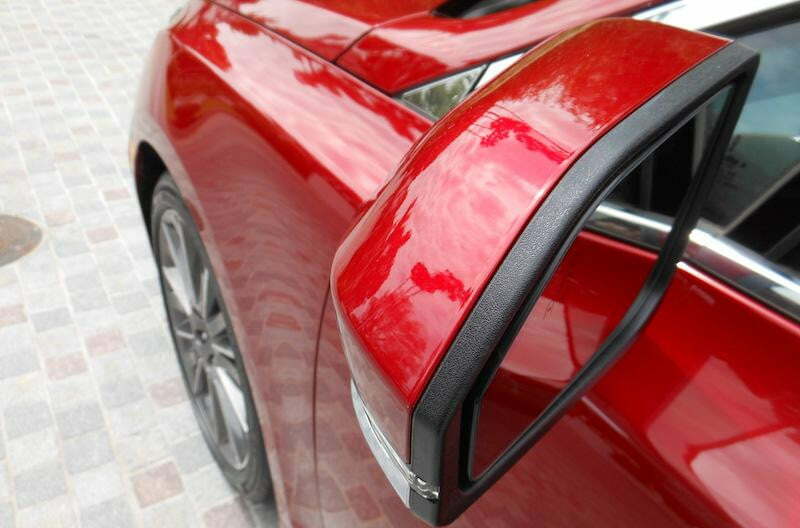 During regenerative braking, the hybrid captures and recovers more than 95 percent of the friction energy normally lost through braking, storing it in the battery. 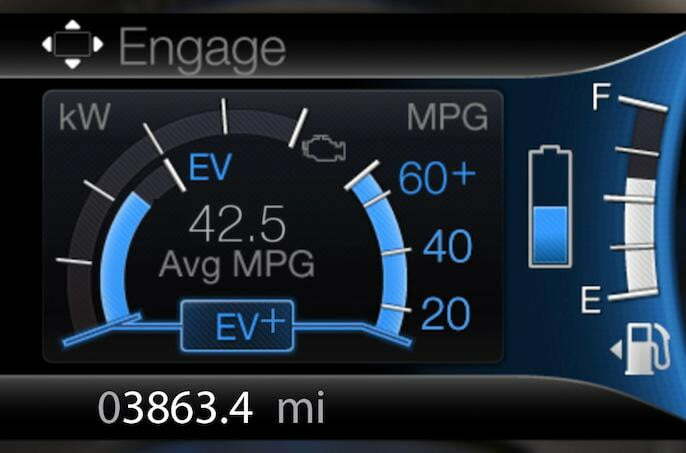 In fact, you tend to forget you’re even driving an alternative powertrain vehicle except for when it really counts – that being gas mileage, which is rated at 45 mpg city and 45 mpg highway for the new MKZ Hybrid. I actually posted an average MPG of 47.7 during a 17-mile city route mapped out by Lincoln for my test drive, the best of 10 journalists who participated in the two-day media event in LA. That’s pretty impressive considering that while I’d love to take full credit for the numbers, I hardly fit the bill of a fuel-efficient driver. My city driving skills probably aren’t much better than the average commuter, which highlights how intuitive the MKZ’s new hybrid system is in picking up on a person’s driving habits. 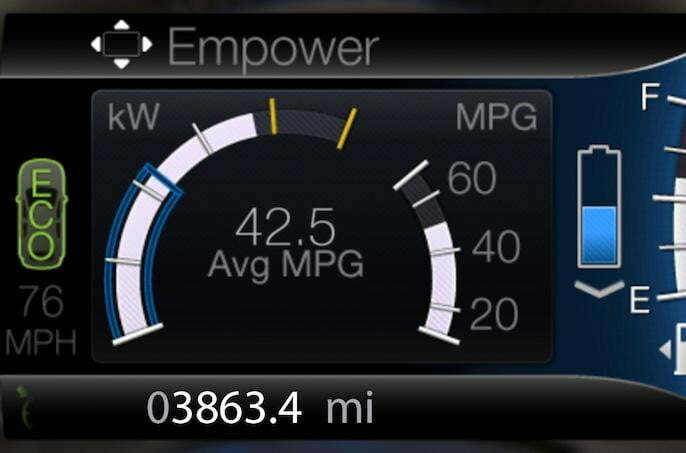 When equipped with GPS, the MKZ’s EcoGuide E+ system will even remember frequent destinations such as a driver’s home and automatically switch into electric mode as the driver approaches the destination. To further improve fuel efficiency, the sedan is also equipped with a function called EcoCruise, which saves vehicle energy by applying less acceleration compared with standard cruise control. 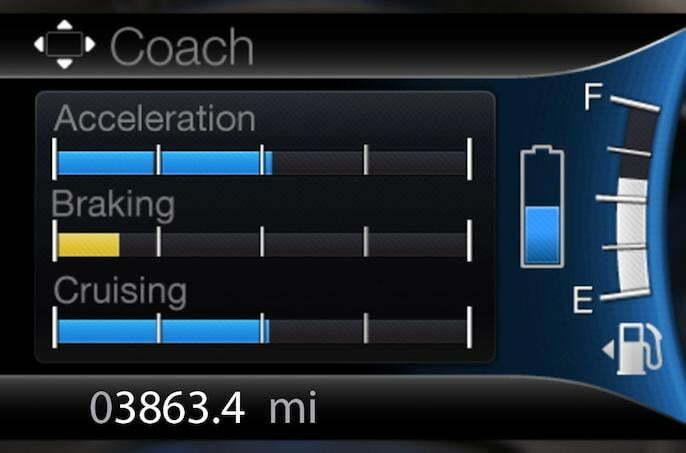 An additional feature, called Brake Coach, helps drivers better optimize the energy used during regenerative brakes. Lincoln’s 8-inch touch screen also allows you to see how the MKZ Hybrid is orchestrating the entire process as power is generated through the four-cylinder engine, lithium-ion battery and electric motor. I always find it pretty interesting to watch it all in motion but keep those eyes on the road. Whether you’re in the market for a hybrid or not, the new Lincoln MKZ definitely has the look to pull it off. I even overheard a valet at a popular Beverly Hills hotel commenting on the sedan’s styling a few weeks before my recent test drive. Prior to that, I can’t recall the last time I heard of any Lincoln vehicle generating buzz at a hot spot. While still a bit more subtle than most of its competitors, design features like the new grille and fast-sloping roof give the MKZ a lot more wow factor, which the car desperately needed to compete against the likes of Lexus or Mercedes-Benz. The new design is intended to be a more contemporary take on Lincoln’s 91 year history as a luxury brand. A lot of that contemporary styling appeal is carried over once you step inside the new MKZ, which now features a more spacious and open cockpit. 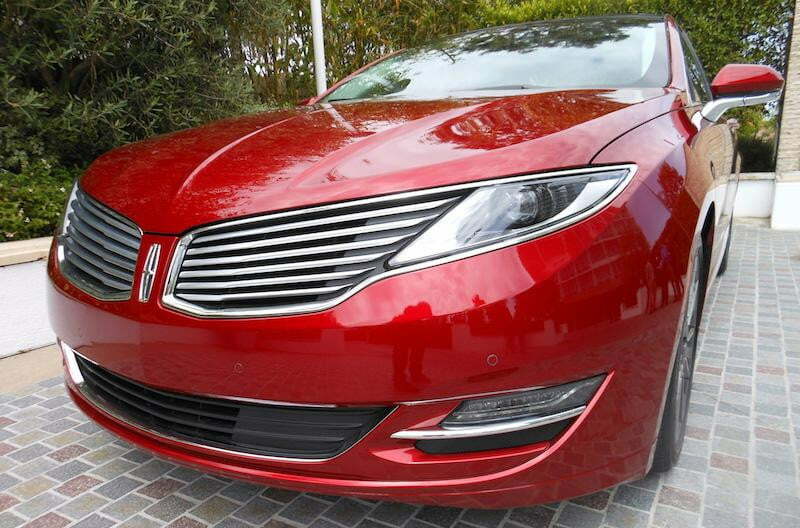 It all provides a pretty vivid picture of how impressive the MKZ is as hybrid. However, with this being my first time test driving any new MKZ models, I thought the car fell somewhat short as a Lincoln luxury sedan. Built in Mexico, the MKZ Hybrid was noticeably quiet even when it was being powered by the gasoline engine, which definitely gives you the sense that you’re driving a premium vehicle. And optional features like the huge retractable panoramic roof also adds to the premium experience of just sitting in the vehicle. 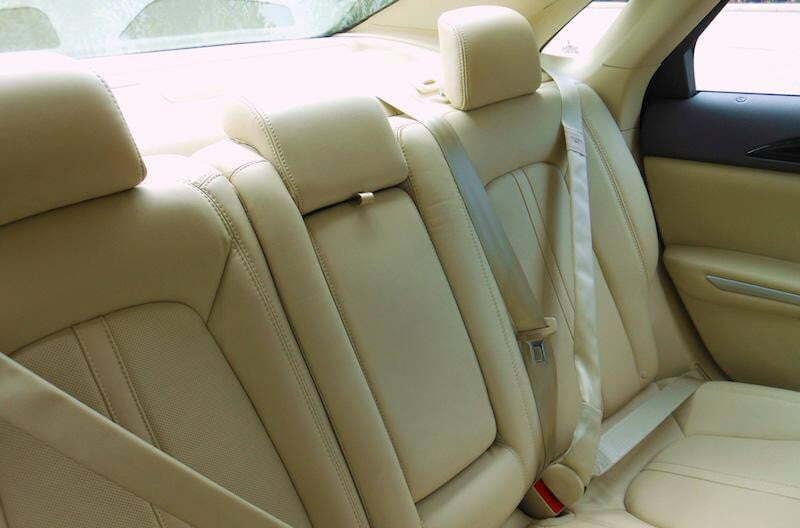 However, some interior features like the leather surfacing, and key touch points like the steering wheel and door armrests, didn’t quite live up to the type of luxury typically associated with Lincoln in the past. 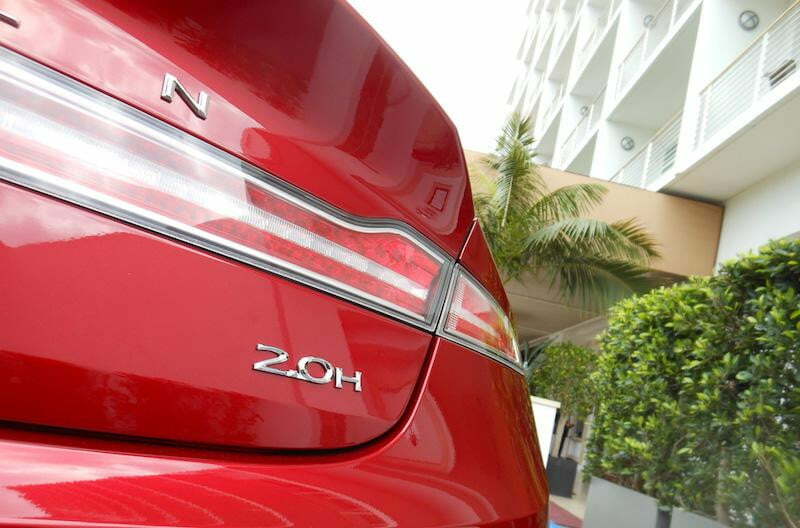 The MKZ Hybrid certainly rides and handles like a premium sedan due in large part to the Lincoln Drive Control system that helps to orchestrate driving dynamics such as the vehicle’s adjustable suspension and electric power-assisted steering. Available safety tech features like adaptive cruise control, collision warning with brake support and Ford’s active park assist technology also speak to the vehicle’s premium status. Still, there’s a certain element of luxury that I’ve come to expect when driving a Lincoln and the new MKZ falls a bit short on those expectations − especially considering that the car is supposed to draw from the brand’s iconic heritage. Though a stark contrast from today’s focus on more fuel efficient vehicles, remember the feeling you had the first time you sat in a new Lincoln Navigator? There was a sense of luxury you got from just being in the SUV. Well, the MKZ Hybrid doesn’t quite measure up to that experience. In fact, it’s as if Lincoln was shooting more for a sports sedan appeal with the new MKZ, which likely would be less of an issue if I’d test driven a model equipped with the 300-horsepower 3.7-liter V6 or the 240-horsepower 2,0-liter four-cylinder EcoBoost version. However, in the hybrid model, you quickly find yourself wishing for some of those more traditional Lincoln luxury features, which I’ve always thought have given the brand an edge over its competitors. Then again, maybe it’s that Lincoln, like many other luxury automakers, has had to evolve into something else to be more competitive in a new global world of high-tech hybrids. Or perhaps, it’s the idea that luxury is undergoing some drastic shift with everything from fashion to automobiles becoming more accessible to more consumers. With a base price of around $35,925, which is on par with the standard MKZ, the Lincoln hybrid definitely meets that criteria − especially considering that most carmakers charge more for their hybrid models. So maybe, it’s just that this new contemporary spin on luxury takes some getting accustomed to for anyone who remembers what it used to feel like driving a Lincoln. So Internet, do you have any thoughts about the Yahoo-Tumblr buy out?